Recently, I decided to use the plastic pill bottles provided by my pharmacy for our prescriptions as small storage containers for my collected seeds. 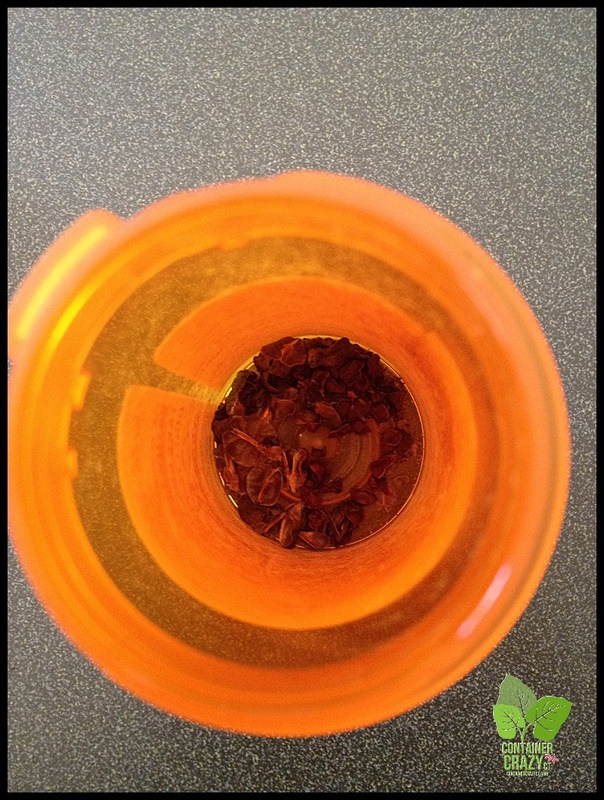 The pill bottles are small enough, have a label on them already which I can write the plant and date on with a sharpie marker, and the amber color of the plastic pill bottles are dark enough to prevent light exposure. Pharmacy containers are made from light resistant plastic and meet USP light standards for light transmission and USP tight standards to protect the contents from contamination for pills, so I figure they must offer the same protection for seeds. Plus, it feels great to repurpose these pharmacy pill bottles rather than tossing them into the recycle bin. Before taking seeds from plants that you want to try sowing next year, it is important to know that several changes take place in seeds as they mature and ripen on plants. 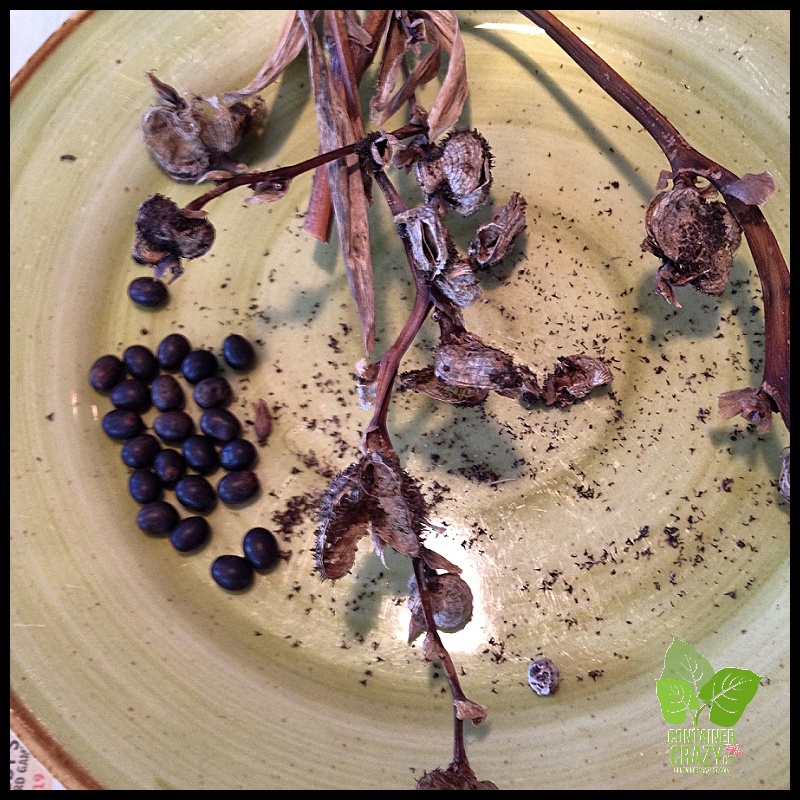 Sometimes, you may notice the outer parts covering the seeds start to become dry and brittle. Eventually, as it dries, the seeds fall naturally from the plant or the coverings crack open to reveal the tiny seeds held inside. The colors of the seed coats will change as well as they mature. They may change from a light color to a dark color such as brown or black. But what you may not realize, since it is not visible to the naked eye, is the moisture content in the seeds reduce during their maturation process. Some seeds need to retain moisture while others can tolerate a higher percentage of moisture loss as they naturally dry. It depends on the species of plant. Each is different. Fortunately, we can leave the moisture content percentages to the professionals as they know when to harvest their seeds for optimal germination. Seeds may dry some more after harvest and/or before you store them in a container. If the seeds become too dry, they may not germinate the following year. It is difficult to determine what is going on with the moisture content, but it is helpful to know because many people get frustrated when they sow a whole tray of harvested seeds – only to find out they won’t germinate. Feeling frustrated, they think they lack a green thumb, but it could be just the reality the seeds have gone bad because they did not mature fully on the plant before harvest, or because they were stored inappropriately. 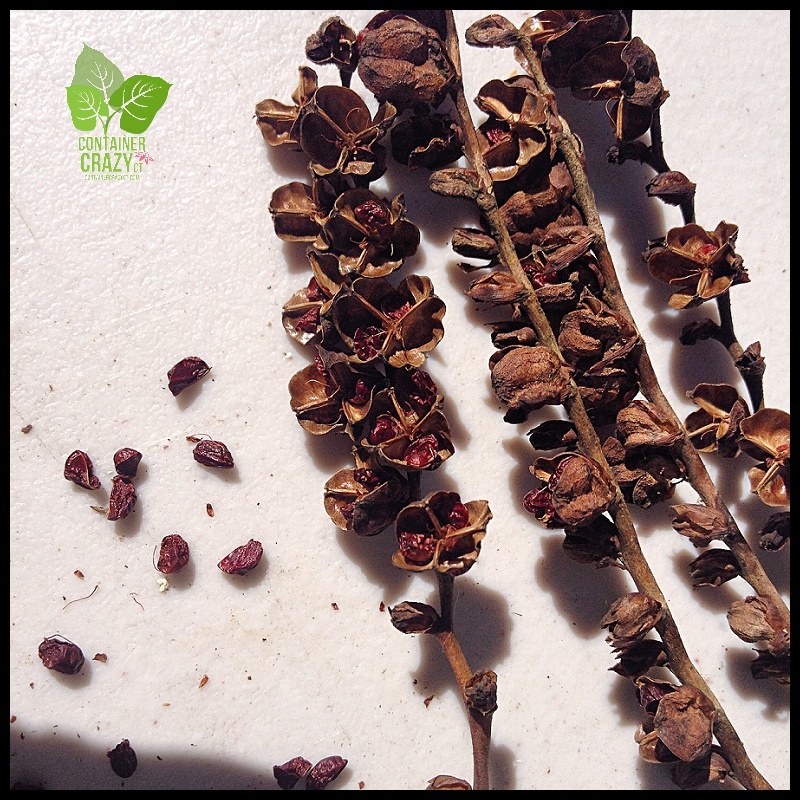 You may notice seeds or their outer coverings are hard on some species of plants. A good example, which comes to mind because I just collected them, are Canna seeds. They are as hard as rocks or marbles. They need to be chipped in order for water to enter the seed when sowing them. In nature, animals will eat seeds and carry them to different places, the first being their digestive tract which will soften the seed coats as its pass through their gut. 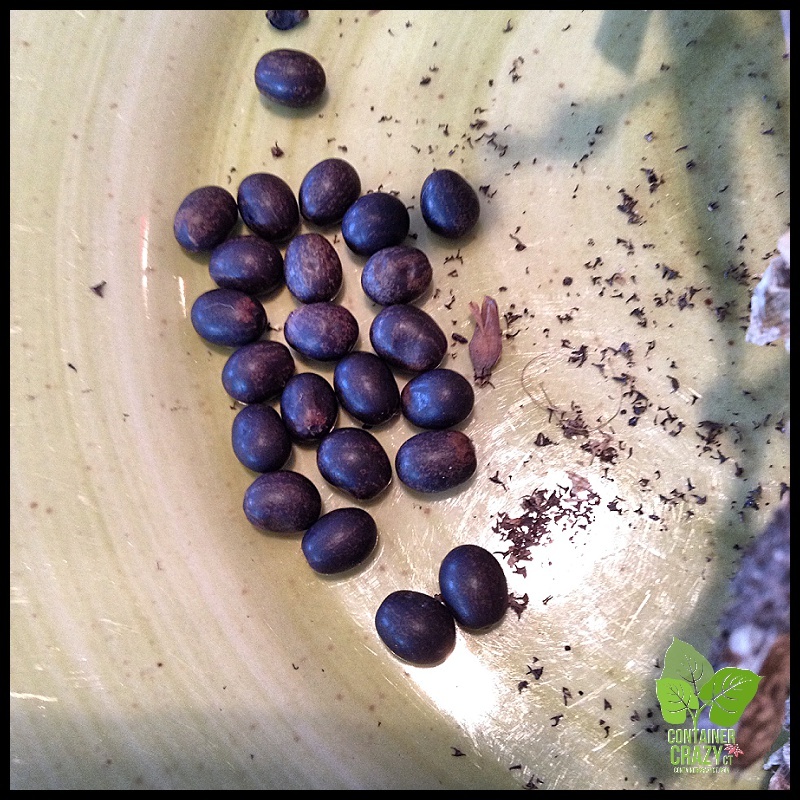 When released to the ground, the seeds will most likely germinate if the environmental conditions are right (light, temperature, water, oxygen, etc.). Other seeds have interesting spines which become attached to animal fur, and our clothing when we do gardening work. This is another way in which plants modify their parts to make sure they are successful at getting off the plant and into the ground to grow. 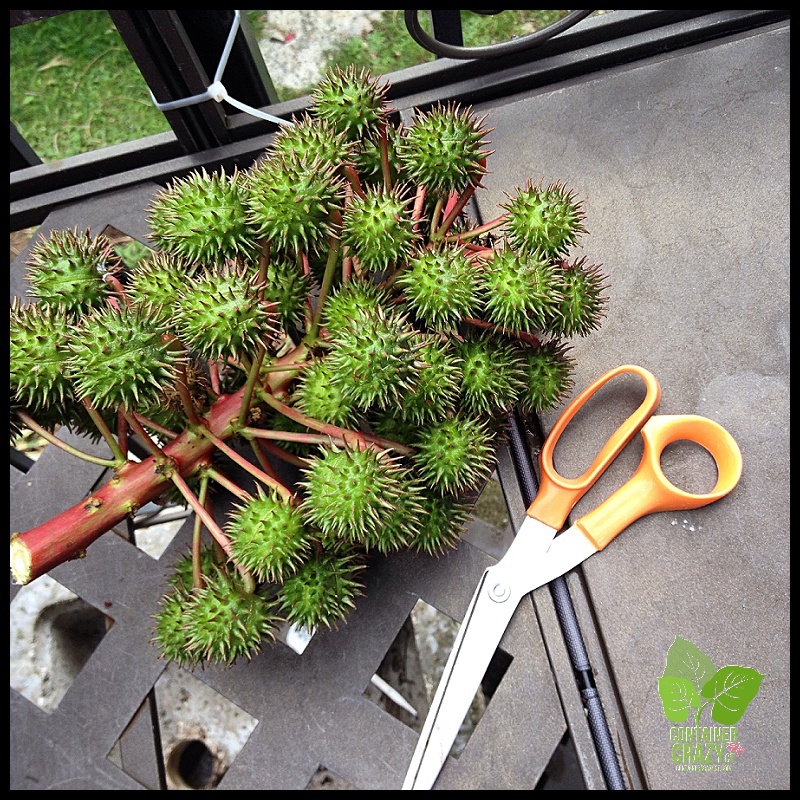 An example of seed coverings that are spiny are the seed pods of Castor bean plants. When broken open, you see the seeds within but the outer parts are covered in spines. Another modification to seeds are the wings we see on maple tree seeds which make them fly. They are called ‘Samaras’ and are on ash and elm trees too. Then there is the method of moving seeds by water – think coconuts. Even explosions are used by plants to burst seed coats open which shoot seeds out and about to disperse. Clever those plants are in their strategies. No high speed WiFi needed for them. As noted above, if seeds are taken off plants too soon, they may not be fully developed. They may still germinate but the plant may not be of good quality or short-lived. Additionally, if seeds are not stored appropriately, they may loose their ability to germinate. Seeds should be stored at low temperatures and low-humidity. You may have heard about how seeds can remain good for many, many years, even up to 75 years. This is true, but usually it is with the case of seeds with very hard seed coats. They will not germinate unless the seed coat is nicked, scratched, or chipped so it can take in water. Fires are another way in which hard seed coats are broken or damaged. Nature always finds a way. Some people will keep their seeds in their refrigerators to keep them long term which works, but if the seeds have too much moisture content at time of harvest, the moisture inside the seeds may freeze. Moisture proof containers help this situation. As for myself, I haven’t done much seed collecting over the years, just a bit here or there. I’ve stored them in envelopes before but this new method of using the pill bottles is handy and convenient. So far, it has worked. I believe in repurposing. This is a grand idea. Thanks. Cathy. I included an article “From Kitchen to Garden” in my book, about all the things I have repurposed. (Example: a peanut butter jar now holds irrigation system parts). I am working on a presentation on repurposing and when I get it done (if I ever do), I will send you the powerpoint if you would be interested. I would absolutely love to see your presentation, please do. Very nice of you to offer, Cathy T.
Thanks, Cathy. You should probably say a prayer that I will in fact pull it together.